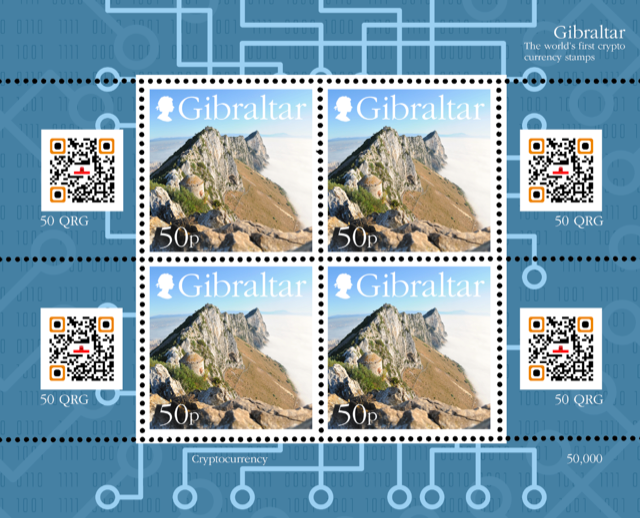 QRG – is born, as a collectible crypto stamp, released in May of 2018 by the National Post office of Gibraltar. GIBRALTAR, December 06, 2018 /24-7PressRelease/ — A limited supply, only fifty thousand blocks of four stamps have been produced. Each block has a QR code printed next to the stamps, which when scanned generate 200 QRG Coins per block in an Ethereum wallet (e.g. MyEtherWallet) there will never be more than 10,000,000 tokens issued. One Stamp Collector, who attempted to purchase QRG stamps on opening day said, “Several of us tried, but the Gibraltar Post Office sold out quickly. We received polite notes saying “the QRG issue is no longer available”. The 200 crypto coins embedded in each block of four QRG Stamps and the anticipation of the coins listing on exchanges has created a scarcity of supply. More information is available at www.qrg-stamps.com.